The holidays are a time to reflect on what we are grateful for and to reach out to others with greetings and well wishes. 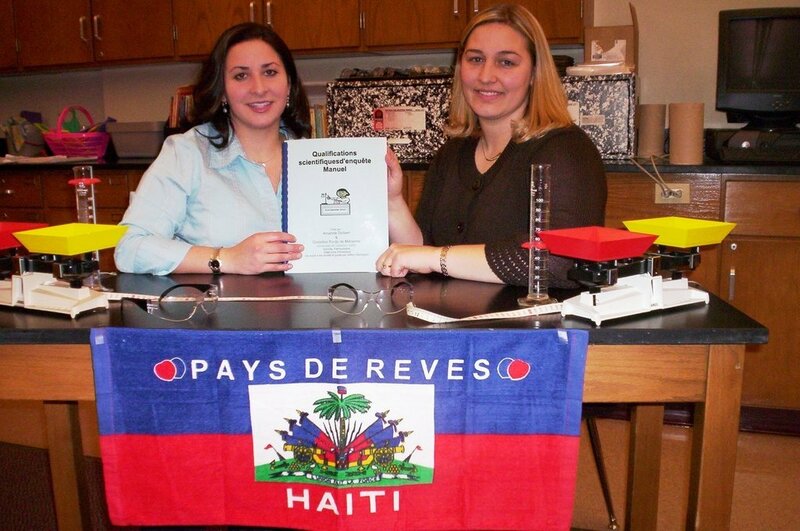 Our Palmyra-Haiti Technology project members in the USA have done just that. 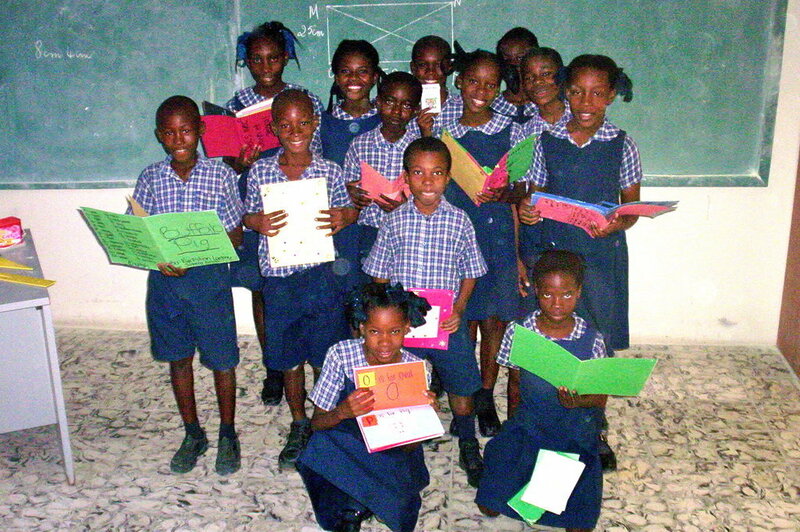 They have reflected on their blessings of having a supportive relationship with our partner schools in St. Marc, Haiti and sent handmade holiday greeting cards to their Haitian peers. 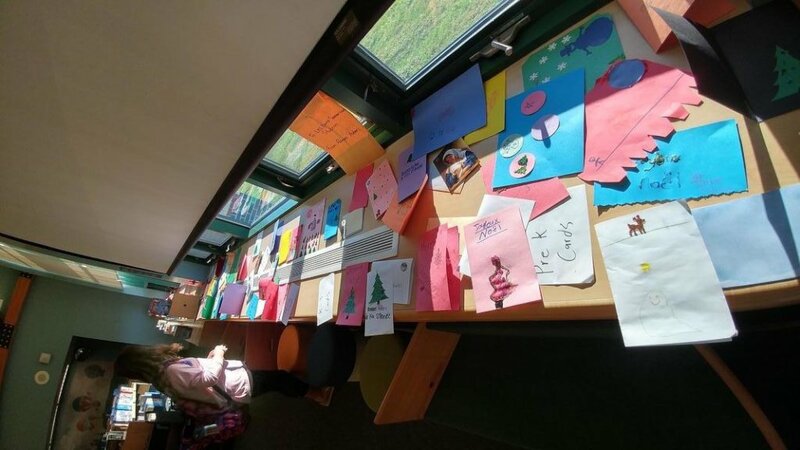 Our high school French club students helped our 4th through 8th-grade students translate the cards that were recently sent to St. Marc. 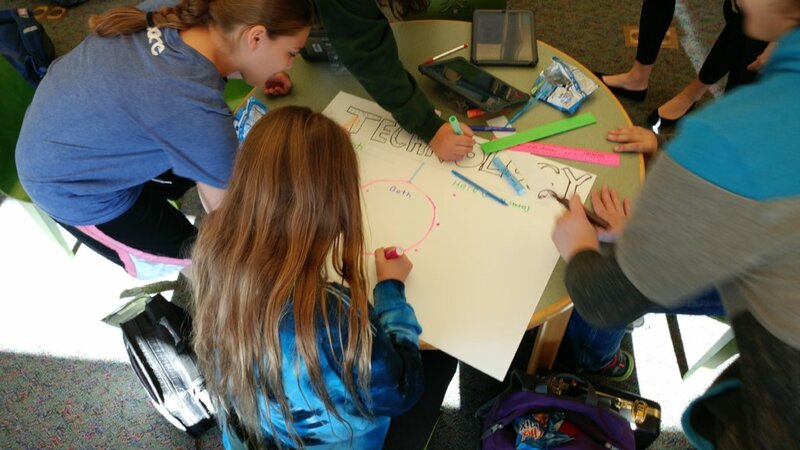 Being a 1:1 technology device school district, our Palmyra students understand the value of technology & connectedness as a means to prepare them for 21st-century workforce opportunities. 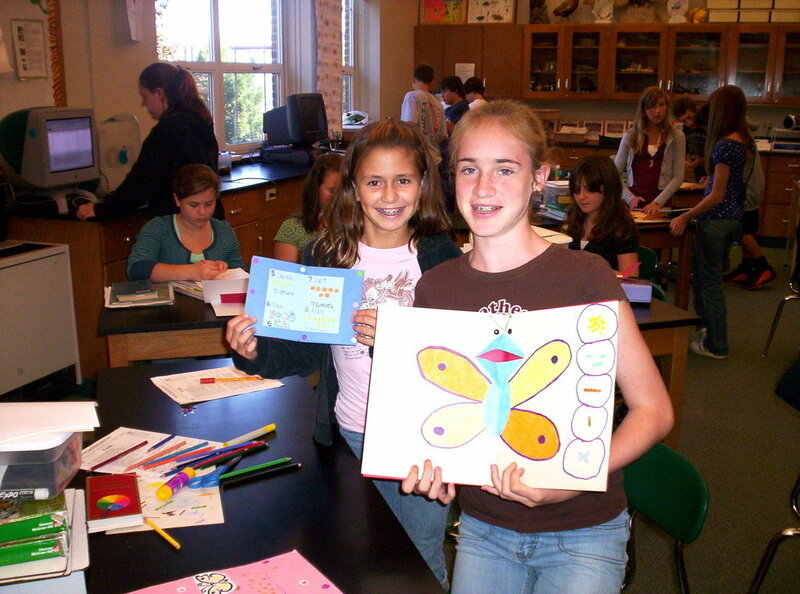 Our students could not imagine education without the use of technology. 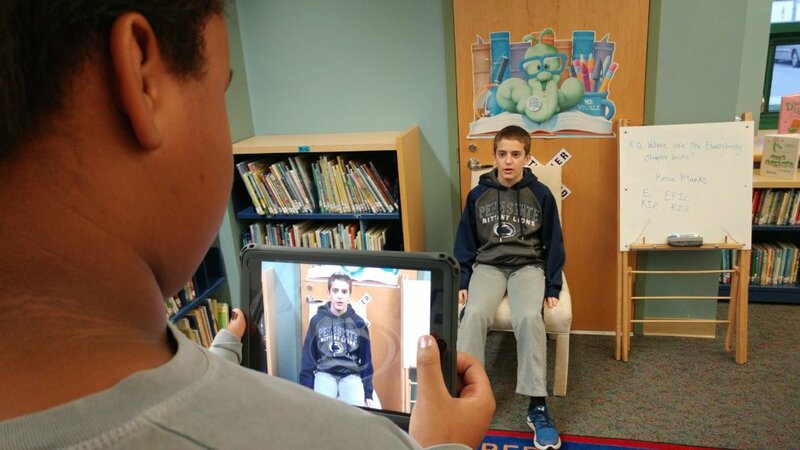 Although our peers in St. Marc do not have 1:1 technology access, they do have consistent access to technology for their lessons thanks to your generous support and the awareness and fundraising efforts of our Palmyra students over the past several years. 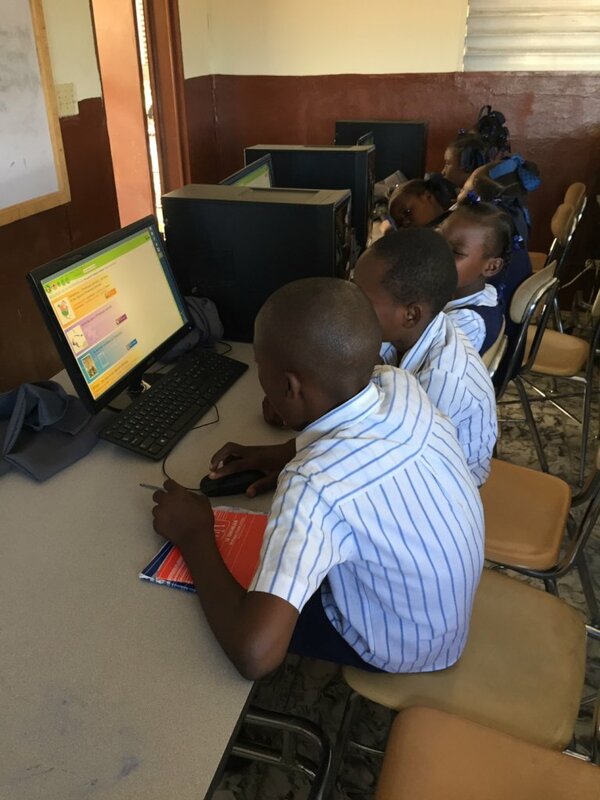 During this season of giving, you can help our peers in Haiti sustain and build on the technology connectedness your past contributions have helped to provide. Please consider a gift of support on #GivingTuesday or as a year-end contribution. GlobalGiving is releasing $150,000 in matching funds and 30+ bonus prizes (ranging from $3,000 to $100) over a 24-hour period on #GivingTuesday (see the Terms + Conditions). As always, thank you for your ongoing support and enjoy a warm and safe holiday season with family and friends. Summer is a time of rest, reflection, and regrouping for another year. This project started nearly ten years ago through a technology platform that was at the height of its usage at the time. 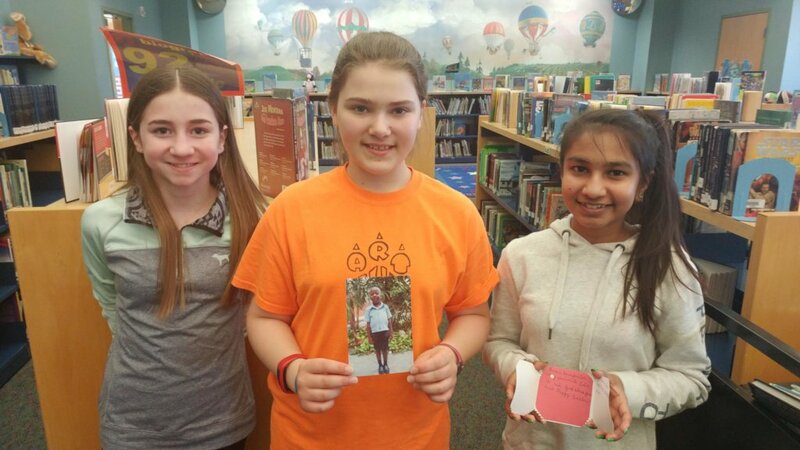 This project used a wiki as a technological collaboration tool between students in Palmyra, Pensylvania, and students in St. Marc, Haiti. In their day, wikis were the cutting edge way to collaborate over the Internet. As we all know, the Internet has evolved quite dramatically over the last ten years. Platforms like Twitter, Facebook, Instagram and a whole host of educational platforms have replaced wikis. 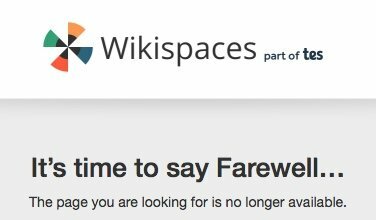 As of this June Wikispaces, the company that hosed our Palmyra-Haiti wiki for many, years closed up shop. This is a bittersweet crossroads for many. For our project, we leave behind fond memories of using our wiki like our very first collaborative lesson on how to make wire circuits to light a bulb. We also learned about the plants of Haiti. Glimpses of what that wiki experience was like can be seen at the video link in this report. As we approach another school year, we are excited to seek new ways to collaborate. 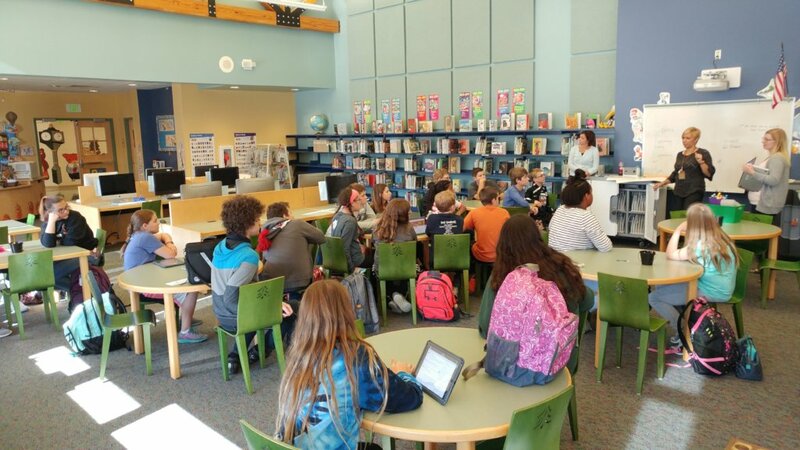 Last year, on the Palmyra side of the project we expanded our student participation from the middle school to also include the elementary division of our district. 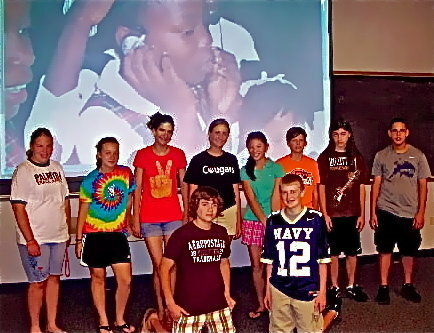 This year, there is interest by our high school French class students to participate in this project. We are excited to reinvent and reconnect in ways we have not done before. 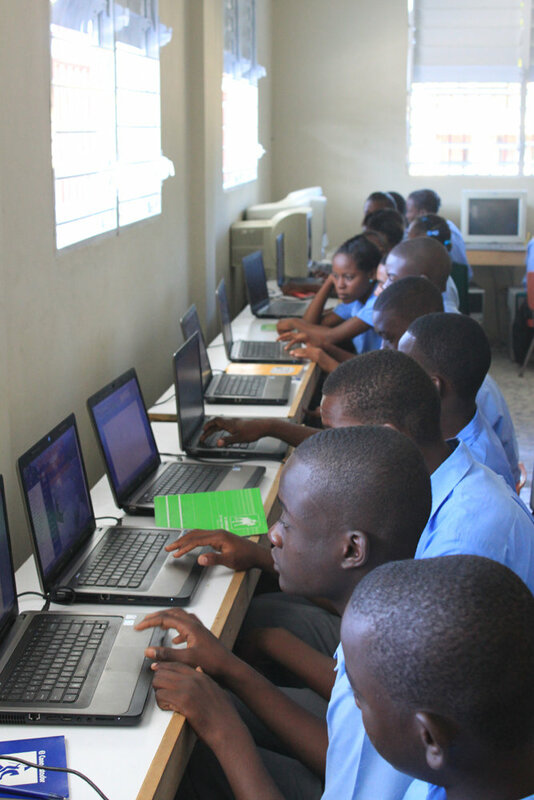 Through the evolutionary changes of the Internet, one thing remains certain, Internet connectivity is a key way to educate and empower students around the world. 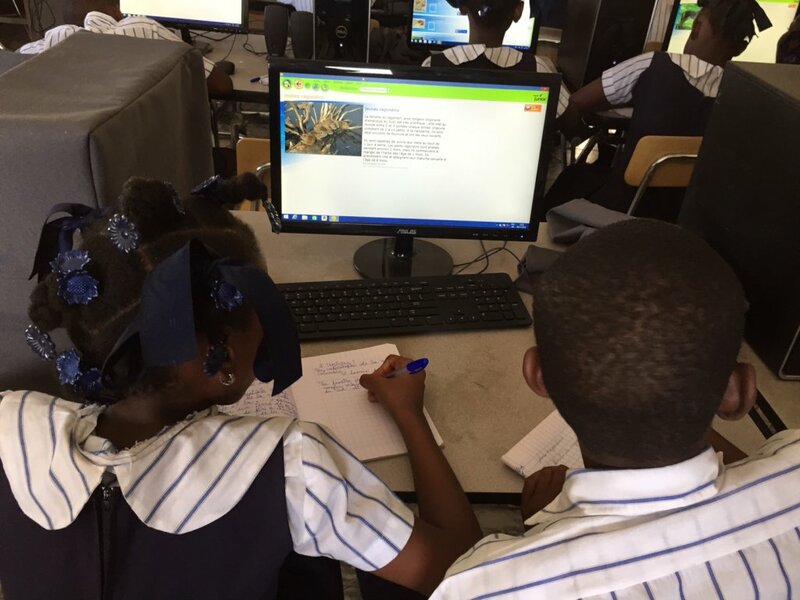 Thanks to your continued support, we have connected more students to Internet learning in St. Marc than anyone would have dreamed possible. That connection has lead to some of the amazing experiences you see in the video at the link. With your continued support, we will to continue to create innovative learning experiences for students in St. Marc and Palmyra. The end of our wiki. A glimpse of our wiki usage as collaborative education tool. As the 2017-2018 school year draws to a close, we look back on a productive year of milestones, caring, and sharing. It is hard to believe, but 2018 marks our project’s 8th year on GlobalGiving(GG). You can view the history of this 8-year relationship with GG by looking back through our more than 40 project reports found below this report. 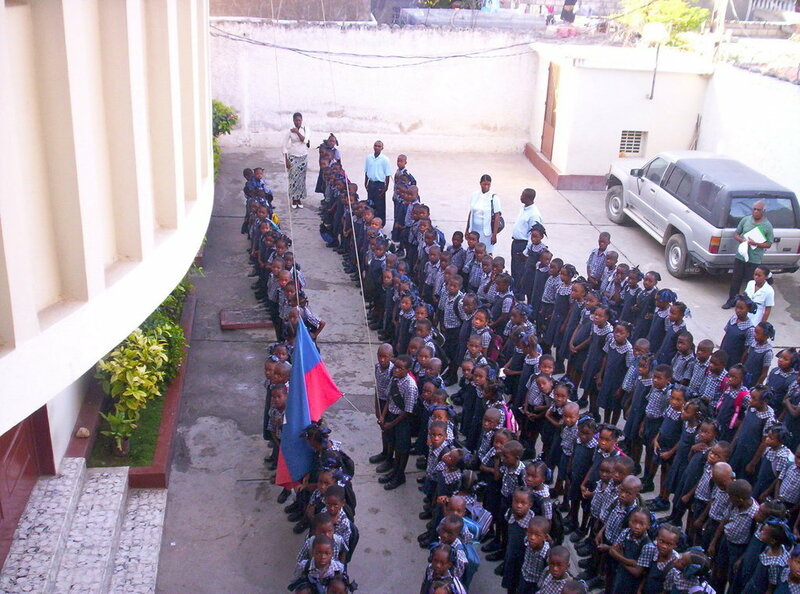 We celebrate an even bigger milestone in the 20th anniversary of the founding of our schools in Haiti through the Mortel High Hopes for Haiti Foundation. You can view the celebration video at the link at the end of this report. 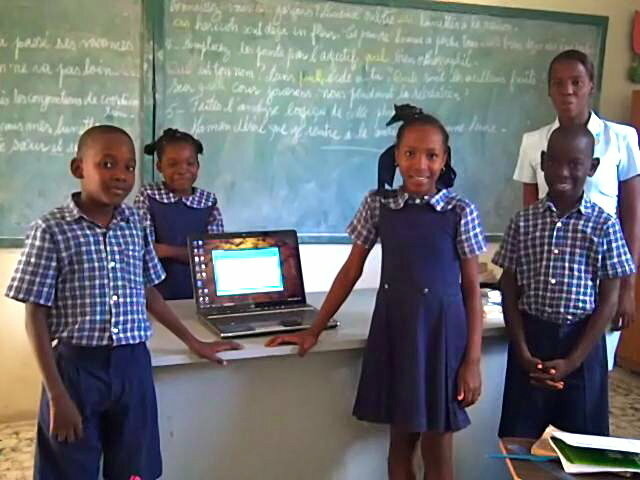 Our previous project reports this year have highlighted the expansion of our Palmyra-Haiti Technology Project from our middle school division to our elementary division. 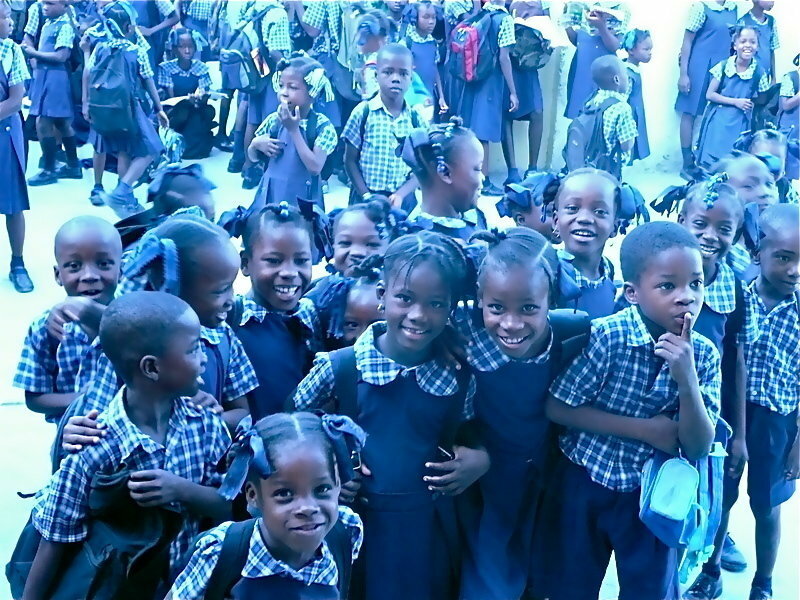 We are excited by the enthusiasm and participation of our elementary division as we continue to expand our caring reach with our peers in Haiti. 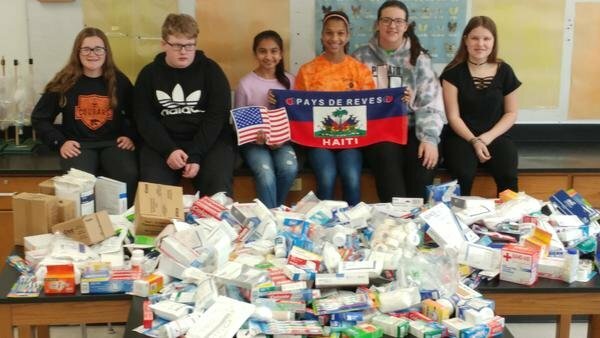 For the past 8 years, our Palmyra community has done a great deal in support of our peers in Haiti. This spring, our Palmyra staff had a charity dress down day and raised over $1000 toward technology upgrades at our schools in Haiti. Our students sponsored a Chipotle night fundraiser where we netted over $800 which was used to continue our sponsorship of Carl, a Kindergarten student at Les Bons Samaritains. At the end of this report, you can see some of our students holding a picture of Carl along with a thank you note for from him. This month, a sibling of one of our student members went on a medical humanitarian mission to Haiti. We made sure that she had ample medical supplies for this mission. 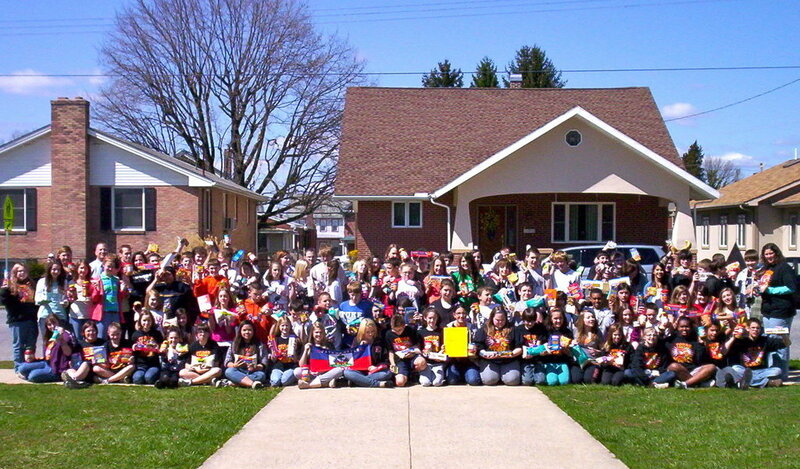 Through a medical supplies drive, we collected over 15 boxes of medical supplies to send to Haiti (see picture below). 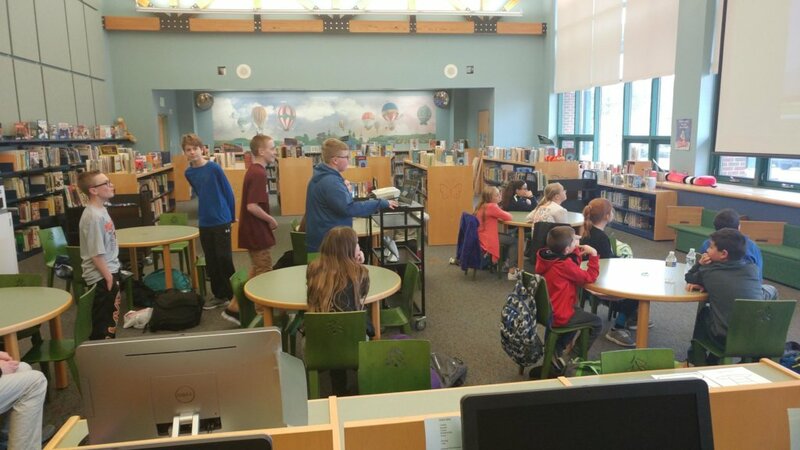 Our middle school students enjoyed sharing their passion for helping their peers in Haiti through a PowerPoint presentation to our elementary students. 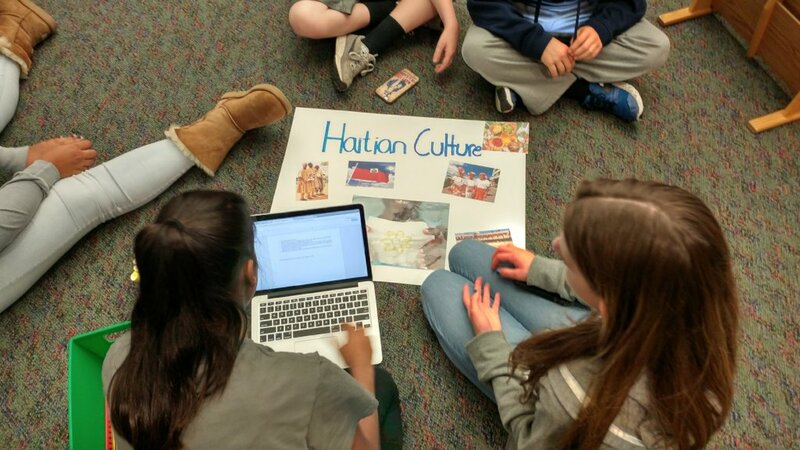 Our middle school students presented background on Haitian culture, cuisine, education, history, and challenges (see picture below). 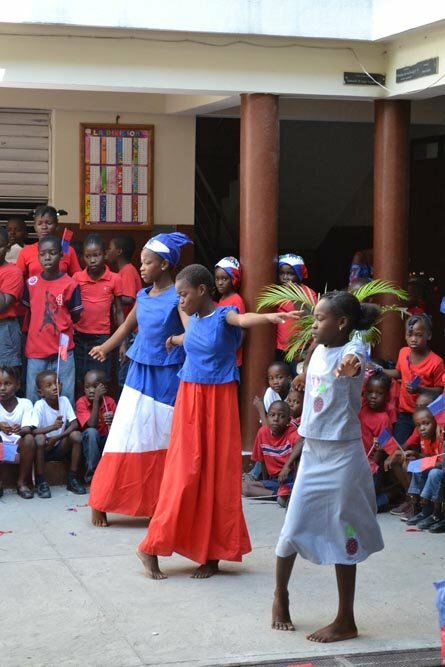 Our elementary students were amazed by the rich culture of Haiti. These great experiences would not be possible without your continued support. We thank you for all you have done and continue to do for this project. We look forward to more great experiences for the 2018-2019 school year. Our Facebook Page. 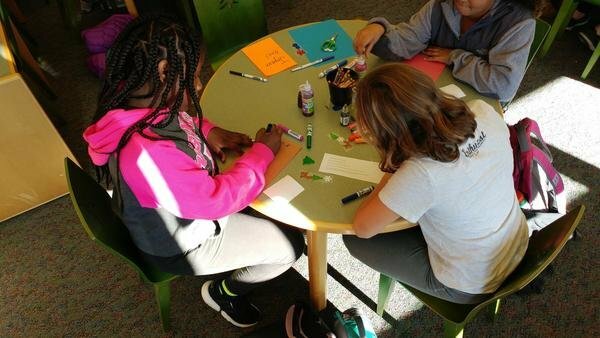 Please "Like us"
This year, it is fitting that our Palmyra-Haiti project has expanded to include our Palmyra elementary division seeking to engage younger students in our project. 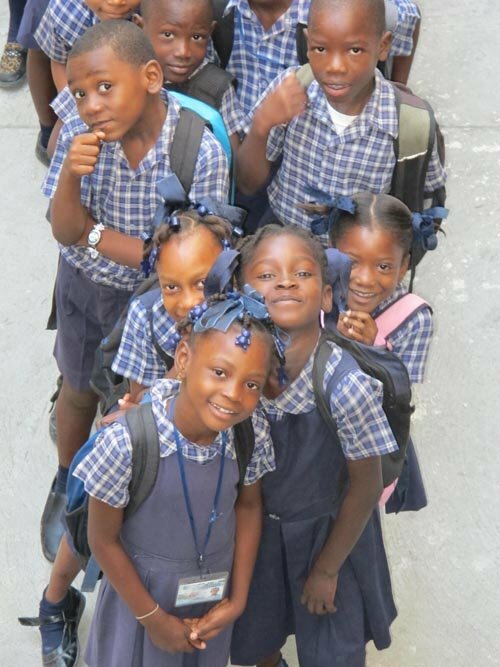 Realizing that early academic intervention leads to learning gains in elementary school, our partner schools in Haiti have placed emphasis on a younger population as well by building a new preschool. In Palmyra, expanding our program to our elementary division will lead to increased empathy and compassion which will have far-reaching effects. 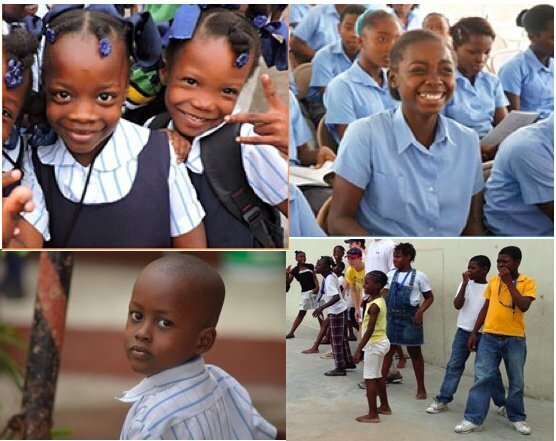 With this we follow the example of empathy and compassion that Dr. Rodrigue Mortel has shown by being the inspirational founder of our partner schools in Haiti. 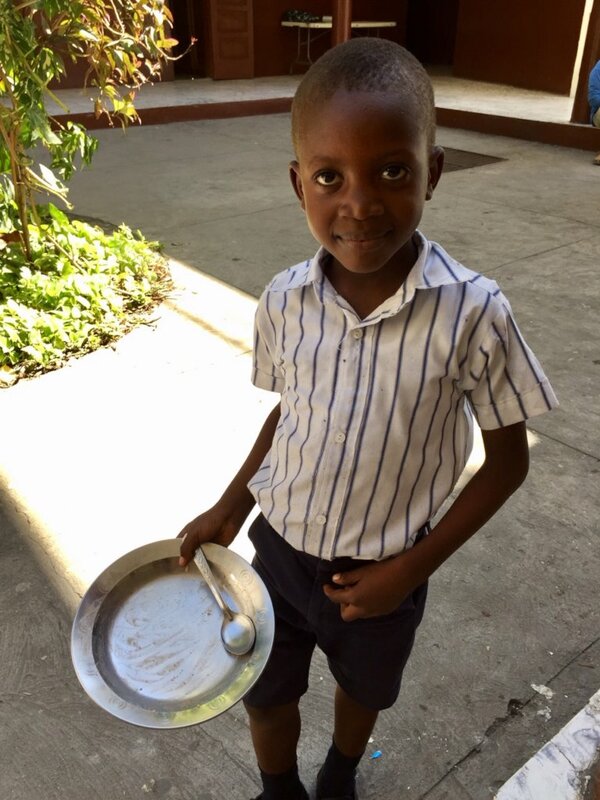 Our connection to the new preschool in Haiti has a heartwarming story in Adeline, one of the first students involved in our Palmyra-Haiti program when it was just getting underway many years ago. Adeline is currently employed as a staff member of the new preschool, helping to care for, educate and share a bit of technology with the youngest of our peers in Haiti. From Adeline’s bright smile, you would never realize that her mother passed away when Adeline was two and that her life began in the abject poverty so common in Haiti. In the pictures below, you can see a young Adeline working on a computer that your support helped purchase. Another picture shows Adeline wearing one of our Palmyra student team t-shirts along with a Palmyra student’s created pop-up book. We have exchanged a number of items, both digitally and physically, with peers in Haiti which have been a part of the fabric of our project through the years. 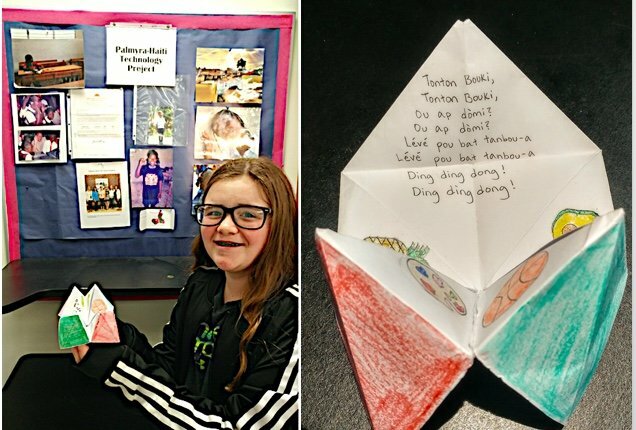 A picture below with Palmyra project member Courtney depicts students creating “Dream Catchers” to send to peers in St. Marc. These Dream Catchers will be in dual languages to help students in St. Marc and Palmyra gain an appreciation for cultural language differences. 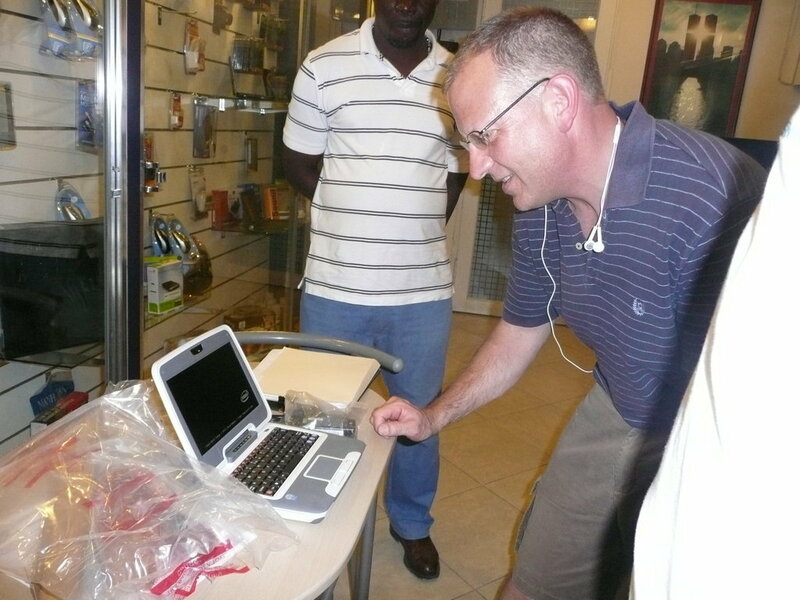 Digital translation technology assists our students in the creation of these items. 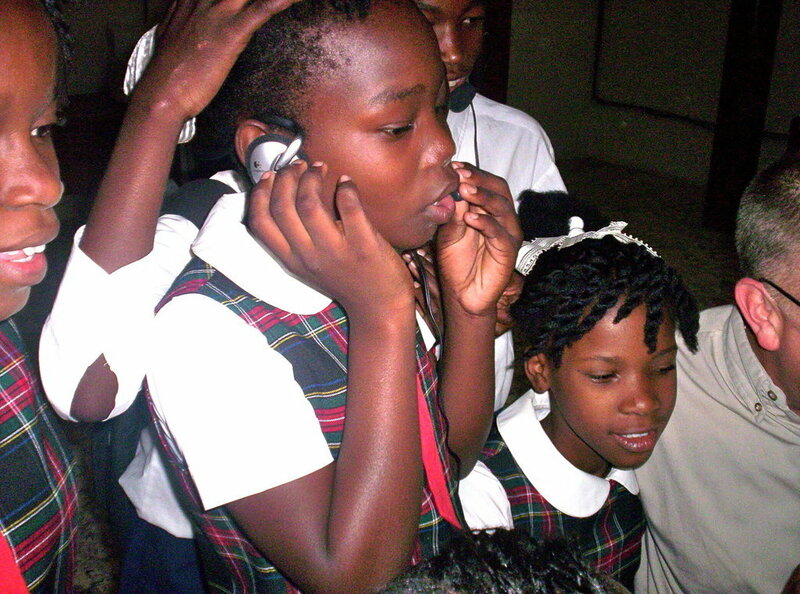 Students at our schools in Haiti thrive and innovate through the use of technology that you help support! 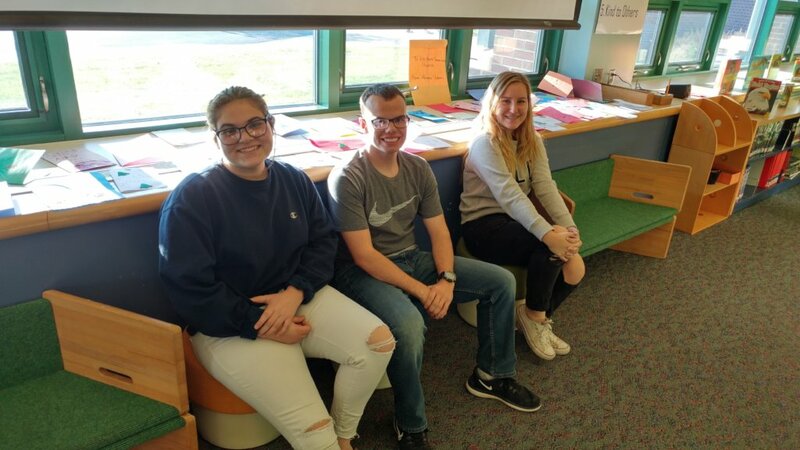 We are especially grateful to you and all who have supported this project including our Palmyra School District Staff which raised over $1,000 during a recent staff dress down day. These funds will help maintain the technology at the schools in St. Marc so students can gain maximum benefit which brings about unprecedented opportunities and success stories like Adeline’s. Please consider sharing our project through social media to help increase our project’s reach. If you have the means, please consider a recurring donation. 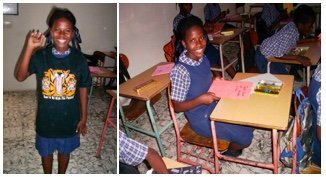 A small recurring donation can go a long way in helping ensure sustainable technology for our students in Haiti. A young Adeline at one of our computers. Adeline in our project's early days. As we enjoy time with family during the holidays we often reflect on what we are grateful for. The Palmyra-Haiti project would like to take this opportunity of reflection to thank you for all you have done to help this project through the years. 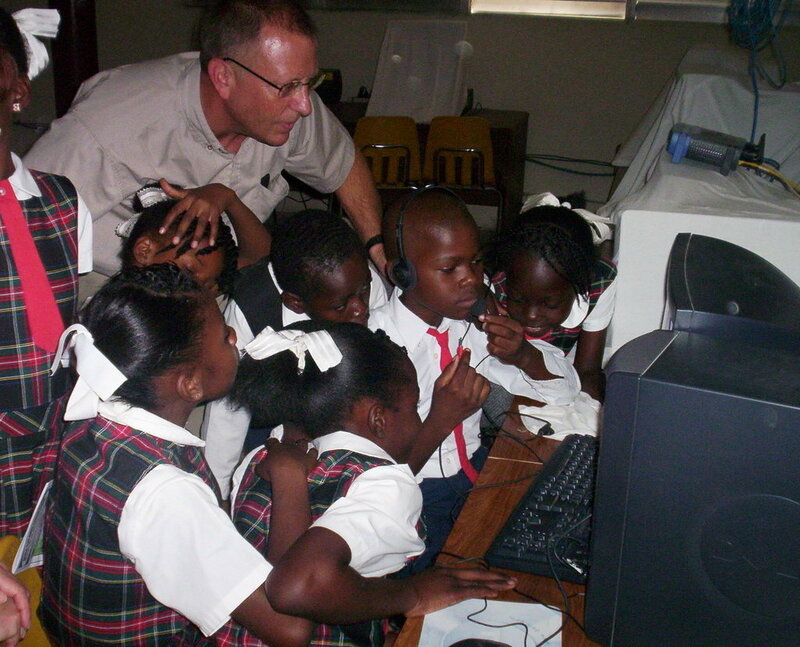 We have seen this project grow from one single laptop as a pilot project, to two computer labs, a weeklong visit from Intel’s Education Service Corps, a feature in a global education book, a feature in the Pittsburgh-Post Gazette with an article on technology successes of Haiti, and some of our graduates branching out on their own technology career paths. It has been exciting to say the least and would not have been possible without your support. This year, our project has expanded on the Palmyra side of the Atlantic Ocean. 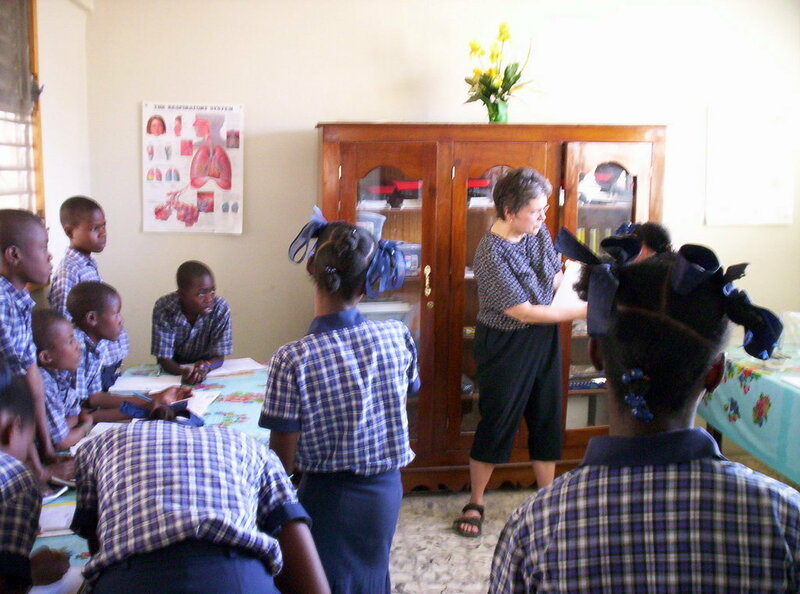 Our middle school students have a goal of reaching out to our elementary population and to inform them about the joys and needs of their peers in Haiti. 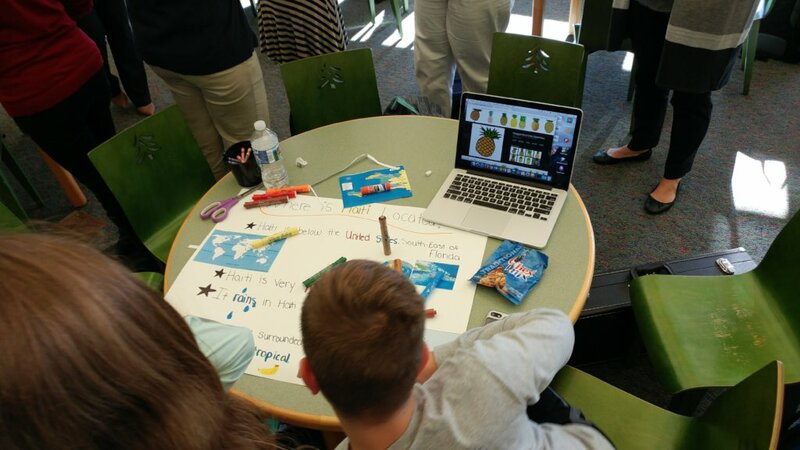 Our students have been working hard making informative posters and informational videos to explain our project to Palmyra schools' 4th and 5th graders and to seek their enthusiasm to inspire others to support this project. The students’ activities can be seen in the pictures in this report where you can get a sense of the students’ compassion and dedication to this project. 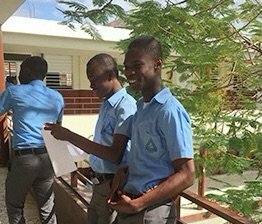 During this season of giving, you can help share our students’ compassion to help their peers in Haiti by considering a gift of support on #GivingTuesday or as a year-end contribution. GlobalGiving has some great incentives to take advantage of during this #GivingTuesday so please consider taking advantage of them on our project’s behalf. New recurring donations up to $200 started on #GivingTuesday and throughout the year-end fundraising season will receive a 100% match! This project could be eligible for bonus prizes based on contributions received that day. All donations, no matter the size can help. As always, thank you for your continued support and enjoy a warm and safe holiday season with friends and family. 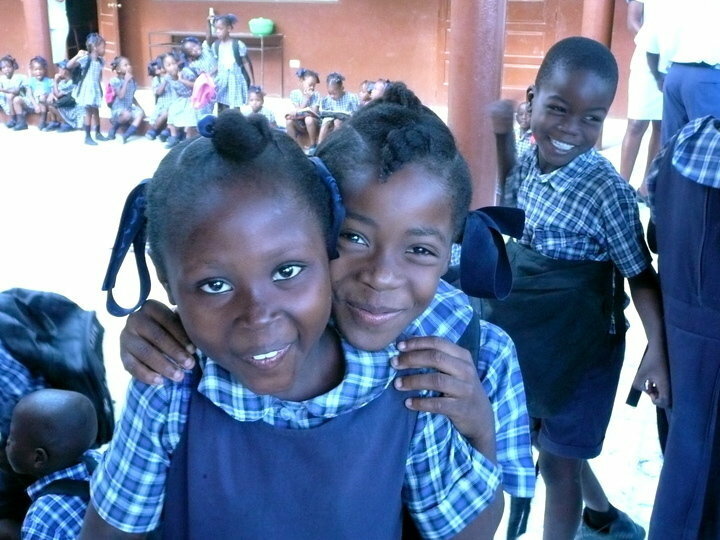 Find another project in Haiti or in Technology that needs your help.